A little while back, I wrote a pretty excited review about Marvel’s new Avengers Initiative app. At the time, you could only play as the Hulk and the game was going for a whooping $6.99. Now? Marvel has $.99 sales like every other day and you can also work your way up to playing as Cap. There’s really not a lot to add about the addition of Captain America to Avengers Initiative. If you liked the game the first time around, you’ll enjoy continuing to fight Hydra as Cap. If the repetitive nature of combat and limited story development turned you off with the Hulk, you’ll have the same problems with Captain Rogers. As Cap, you’re essentially running around a Hydra facility with Red Skull mocking you from TV monitors and Taskmaster beating the life out of you until you’ve leveled up enough. I’m substantially less enthused about paying the $6.99 for Avengers Initiative at this point, but I still enjoy playing from time to time. It has recently come to my attention, though, that there are a handful of slightly more exciting Marvel games out there. Marvel’s Avengers Alliance is immensely more rewarding than Avengers Initiative. The turn-based strategy game lays claim to deep levels of story and Marvel Universe immersion. Play for a few hours and you’ll have recruited the likes of Iron Man, Black Widow and Hawkeye to your team and you’ll have battled several Marvel U villains. I played Avengers Initiative for weeks and only had the Hulk fighting Wendigo, ZZaxx, and Abomination. From a game design perspective, the combat of Avengers Alliance is much simpler (you just click which attack you want your character to do and then they go through the motion – you aren’t actually timing your Hulk smashes here), but the game as a whole is WAY better. In theory, the major downside to Avengers Alliance should be that it’s Flash-based and therefore inaccessible on iPad/iPhone devices. But I wouldn’t let a little thing that stop you, would I? End of the day, Avengers Alliance is my current Marvel gaming go-to and I see nothing that will change that anytime soon (especially given Avengers: Battle For Earth’s ‘kinect kid-game’ status). 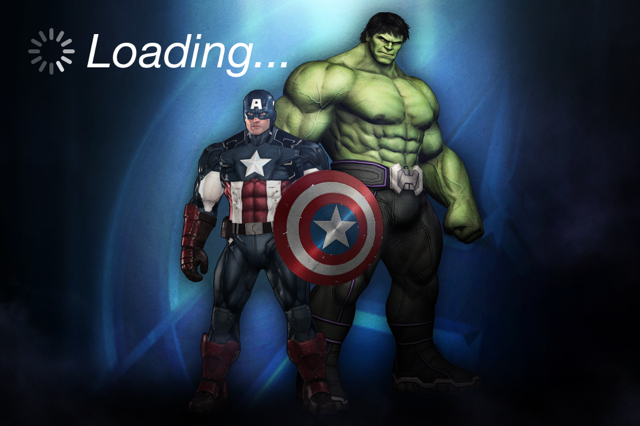 You can find out a little more about Avengers Alliance here. When DCU Online made waves, we all knew it was only a matter of time before Marvel struck back with their ‘improved’ MMO. 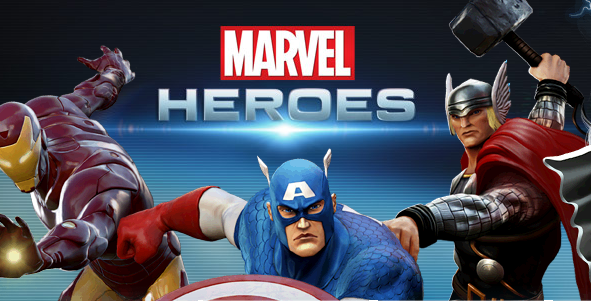 That time is fast approaching, with Marvel Heroes currently in closed beta testing. At this early stage, the game looks very promising, and best of all, it will be free to play. This is immediately the biggest stab at DC, as DCU Online cost an initial purchase fee along with a monthly subscription charge before eventually opening up to a free version. If you want to check out more: here. Any big ones I missed? Let me hear about it below! Who is the next avenger to be on the game as the 3 episode ? That’s a great question. No word from Marvel yet about episode 3 which is kind of crazy… Cap was released back in October. Honestly, at this point I’d just make the switch to Avengers Alliance. The game is getting an iOS app on June 13 (finally!) and in my opinion it’s a way more addicting game. Plus, you can use tons of marvel heroes, a little better than the 2 Initiative has put forward so far. I have maxed out both Hulk and Captain America. If no updates come soon; I’m deleting the app. Definitely don’t blame you. I gave up on the game quite some time ago. Really liked its potential, but Marvel has completely cast it aside. You’re much better off now with Avengers Alliance.